Emmanual Hurtado had altered his sentencing document a day earlier to show a two-year term for robbery rather than three. 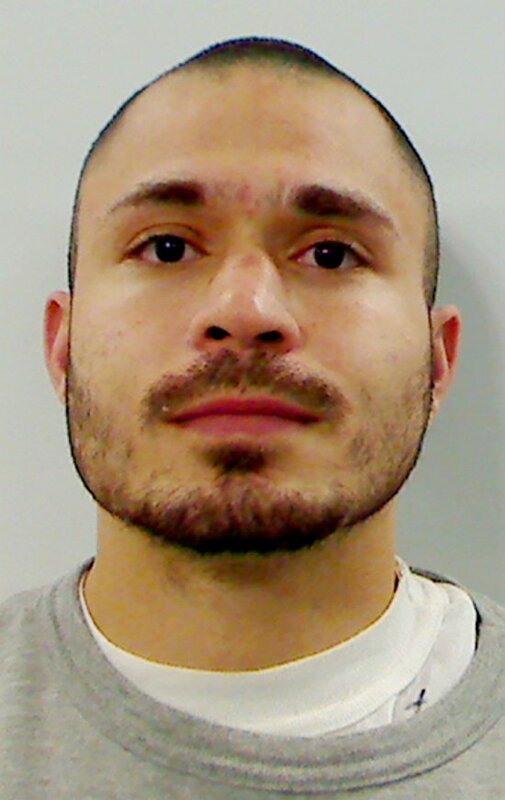 AUGUSTA — Emmanual Hurtado, of Waterville, gave a seemingly heartfelt apology in court Wednesday for his bad behavior related to a robbery and theft, saying he intended to do better. Minutes later, as he was signing the court paperwork listing his three-year prison term, he took the pen and shortened it to two years. That move — in the presence of two sheriff’s deputies — cost Hurtado an additional two years in prison after he pleaded guilty Thursday to the resulting class B aggravated forgery charge. Marden wasn’t impressed when Hurtado returned to court Thursday on the new forgery charge. That apology came after he pleaded guilty to the Jan. 28, 2017, robbery of the Mobil on the Run in Waterville, which netted him cigarettes and $38, according to the prosecutor, Assistant District Attorney Michael Madigan. A store clerk reported that a man had forced his way through locked doors about 5:45 a.m. that day while she was counting money from the previous shifts, according to an affidavit by Waterville police Officer David Caron. The clerk said the intruder yelled, “Give me them cigarettes!” as he approached the counter and then climbed over it. She said he grabbed some $10 and $5 bills from the register as she was trying to close it, and he took cigarettes from a display and other racks and put them into a small black trash can and fled with it. On Thursday morning in the same courtroom at the Capital Judicial Center, Hurtado gave a lengthier apology for changing the number of years on the sentencing document and said he had been sincere in his remarks the previous day. He said he altered the document so he could impress his fellow inmates when he went back to the cellblock before being taken to prison. Madigan recommended a three-year consecutive prison term for the act, which he termed “one of the most egregious forms of forgery that could be committed,” noting that the judgment and commitment form is kept by the court for reference in the future. Hurtado’s attorney, Brad Grant, suggested a one-year consecutive term, noting that Hurtado was taking responsibility for his action less than 24 hours after the offense occurred. Grant said he met with Hurtado on Wednesday night at the Kennebec County jail and reviewed the evidence supporting the new charge. The judge said he too was sending a message to the cellblock in imposing a two-year consecutive sentence for the aggravated forgery offense. That means Hurtado was sentenced to a total of five years behind bars.